If you’re like most people, you probably made a few resolutions as you celebrated the beginning of a new year. Some are harder than others to keep, like paying off your credit cards, losing weight or getting that dream job. But here’s one that is actually fairly simple, and can make your job a whole lot easier: make improvements to the C-Arm you’re already using in your clinic, hospital, healthcare facility or practice. Step one, of course, is to make sure you schedule preventative maintenance, so your current C-Arm is functioning at full capacity. This simple step will prevent downtime and reduce headaches from unexpected breakdowns. 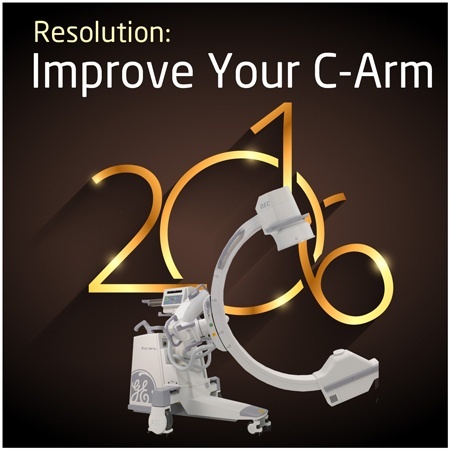 Here are some additional easy steps you can take to improve your current C-Arm. If you have an OEC 9600 or 9800 C-Arm, it was manufactured with CRT monitors. However, new technology now allows you to upgrade your current monitors to LED flat screen monitors. These monitors rotate from side to side, so you can see the image on the screen without rotating the entire monitor cart. The best way to view and store your images is to transfer your images to a PACS network by using the internal DICOM in your C-Arm. It’s true, most facilities that are not connected to a hospital system do not have a PACS network. However, now it is much more affordable to set up a smaller PACS network in your facility so you can utilize your C-Arm to its full capabilities. You can also purchase a MediCapture box to give your C-Arm the capability to transfer your images to an external source by using a flash drive. Again, it’s so much better when you can see better. 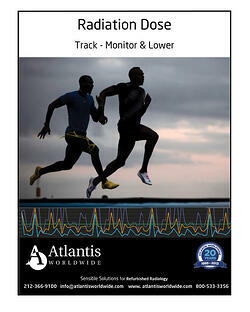 This will enable you to make additional movements with your C-Arm. Always a good thing. The more exact, the better, right? While the best way to improve your C-Arm is to replace it with a newer model, much like upgrading your cell phone—these upgrades can make a big difference, for a lot less capital. 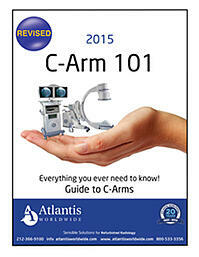 To find out if these upgrades make sense for your C-Arm, take time to talk to an expert at Atlantis Worldwide. We’ll help you weigh the pros and cons, so you can make a truly informed decision.